86 St James's Street is a Crown property and Grade II listed. At the time of its construction the building was described as "High Victorian". The property consists of seven levels which includes the lower ground floor and basement. The present building at 86 St James's Street was built between 1862 and 1865 following a design by Sir James Thomas Knowles (1831-1908). On 3 December 1977 The Grand Lodge of Mark Master Masons of England and Wales obtained a lease for Mark Masons' Hall, which is now the headquarters of 10 Orders of Freemasonry. Normally, each Masonic Order is divided into different membership regions or areas. These regions or areas are described using various terms, such as Province, District or Division to name a few. 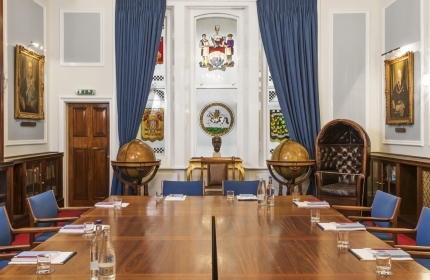 Mark Masons' Hall takes overall responsibility for the administration of every Province, District and Division under each of the above Orders. In terms of membership numbers, the Order of Mark Master Masons alone accounts for over 43,000 members. 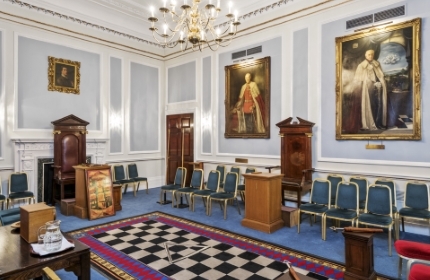 Marks Masons' Hall has a range of temples specifically suited to Masonic needs, from our magnificently appointed Grand Temple to smaller but equally well appointed temples. 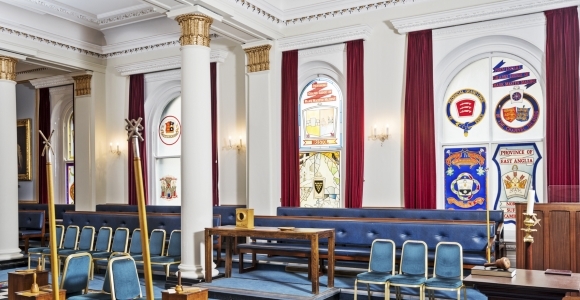 86 St James Ltd is the Catering arm of the GLMMM, providing refreshments to all Masonic units visiting the Hall. We serve almost 50 thousand meals per year and have a growing reputation for high quality food. Mark Masons' Hall has a number of conference rooms. 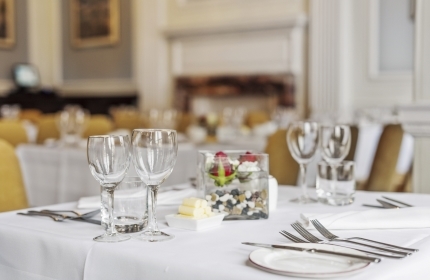 Our rooms range in size and can be prepared to suit most circumstances, whether that’s boardroom, cinema or classroom styles, we’re happy to accommodate where possible.